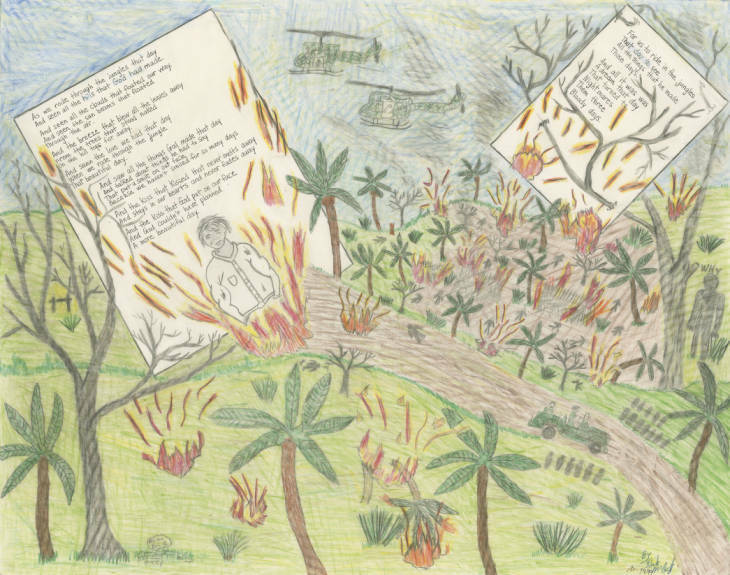 The Imaginative Representations of the Vietnam War Collection contains thousands of examples of the portrayal of the Vietnam War in popular culture. The Collection aims to raise questions and document the sources of developing myths about the war experience, measuring the impact of the original event by seeing how the experience is presented to the public through imaginative renderings. Sources include novels, poetry, films, documentaries, music, literary archives, and ephemera. Read the curator's essay on the content and research uses of the Imaginative Representations of the Vietnam War Collection. The aim of this directory is to record the locations of archival and manuscript collections related to the experience of the Vietnam War. The primary focus is to create a guide to the papers and writings of American veterans whose views were shaped by their wartime experiences. This directory was created by Sarah Seraphin, Special Collections Librarian for the Connelly Library, La Salle University.